You’ve probably noticed that it’s time for the annual Perseid meteor shower, and, if you’re keen on seeing said Perseids, pop on over here to find out how to maximize your chances of spotting them. 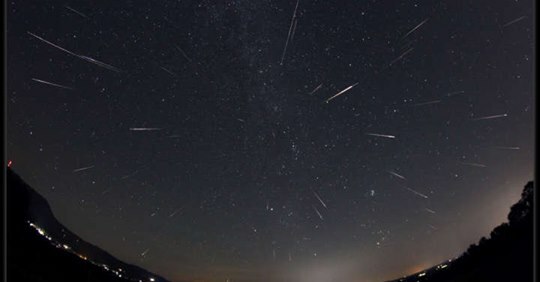 As noted by Sky & Telescope Magazine, this year’s Perseid meteor peak – on the night of August 12 to the early morning of August 13 – is expected to be a particularly stellar show. The reason is one we’ve already touched on: thanks to a new Moon, there will be no pesky reflected sunlight to ruin the spectacle. Not only that, but the shower’s predicted peak is timed especially well for North America, which will hopefully satiate those annoyed to have missed out on the recent blood Moon lunar eclipse. There are a few more bonuses thrown in too for 2018’s stand-out summer shower, all involving meteoric interlopers. As it so happens, the Southern Delta Aquariid meteor shower is taking place at the same time. Taking place from early/mid-July to late-August, the Delta Aquariids are not quite as stunning as the Perseids; they are a bit slower, fainter, and less numerous. Nevertheless, you can still see them radiating from the constellation Aquarius, and if you’re in the southern US, you’ll be best placed to see them. It’s also noted by Sky & Telescope Magazine that, apart from a few other stray meteors, the Kappa Cygnids are taking place at the same time too, as always. Space.com notes that you’ve also got the Iota Aquariids – both Northern and Southern variants – the Alpha Capricornids, and even the Northern Delta Aquariids, all occurring at the same time, with peaks before or after the Perseids’. Some of them are slower and others faster; some are brighter and “sometimes brilliant” whereas others go out with a relative whimper. Unlike the Perseids, though, the waxing or waning Moon and its blasted luminosity will interrupt the performance of these little marvels. The moonlight does a lot to dampen even the best of them, with the fairly respectable 15-per-hour meteor rate for the Southern Delta Aquariids having already taken a bit of a beating this year. Thankfully, you have the perfectly timed Perseids’ to look forward to. Find an open area away from streetlights, let your eyes adjust to the dark as the Sun sets, and look up and be amazed.